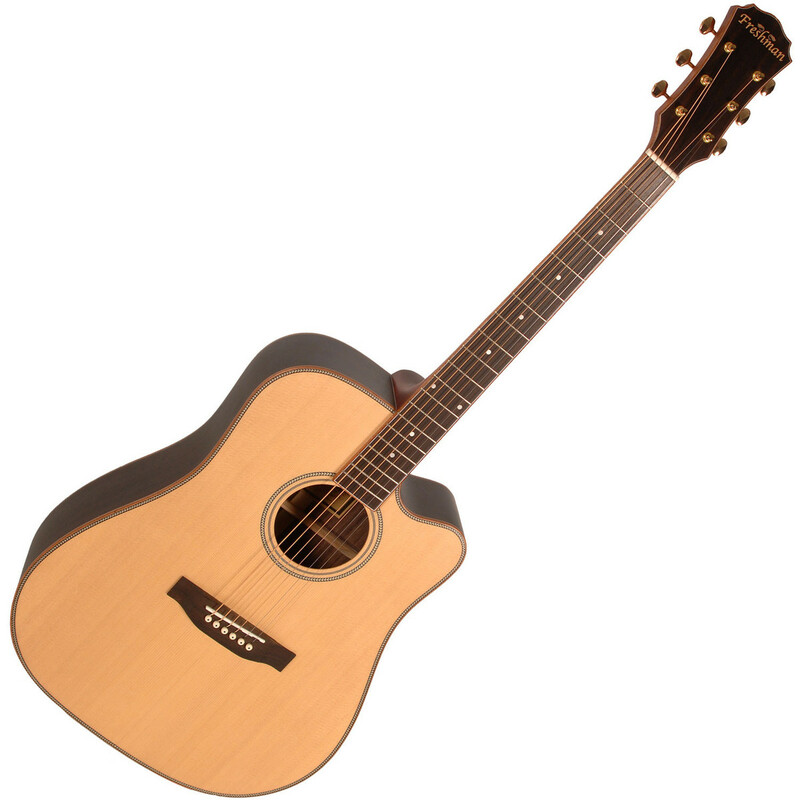 The Freshman Songwriter Dreadnought CE Rosewood Guitar gives you a crisp top end, through to a full low end that begs for rhythm work. This guitar gives you both volume and tone with a solid construction that you'll trust. The addition of AER electronics makes the price all the more unbelievable. The SONGDCERW rewards passionate playing, with lively tones harmoniously jumping off its soundboard. Its sleek cutaway opens up your options, freeing you to explore. The dreadnought body shape has long been held in high regard for its strength of character, but in the SONGDCERW you will find an intriguing personality that welcomes you to push beyond your comfort zone. The SONGDCERW marries the best of tradition with a modern heart, asking questions of the songwriter. The answers will never disappoint. The SONGDCERW is fitted with a premium AER Tube System. These outstanding electronics are exclusive to Freshman Guitars, developed and specifically voiced in conjunction with the world-leading German acoustic electronics company. The marriage of the two has resulted in a system that produces a true replication of the acoustic tone, unlike any other, and at an unbelievable price. Using a higher grade of tonewood than you would ever expect to find in this price bracket, the all solid SONGDCERW features a beautiful AA Grade Sitka Spruce top, and select Rosewood back and sides, all subtly bound with Mahogany and finished with Herringbone purfling. These higher grade woods will age perfectly, rewarding you every time you play, with clean lines and flawless finish a hallmark of the series.